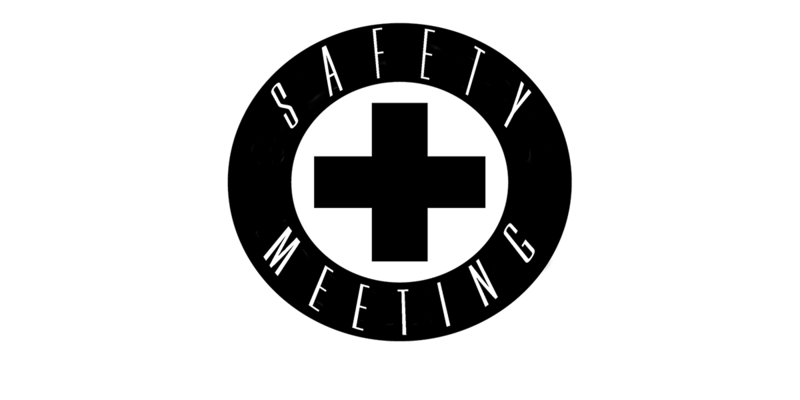 Safety Meeting Productions – High Quality films, Music, and Media. We’re proud to announce that our latest flick, ‘Blue Balls‘, will be released by TROMA as part of the anthology, GRINDSPLOITATION 4: Meltsploitation. The film is slated to come out in 2018, which will also include our 2016 short, ‘Passing The Stone‘. That’s two flicks on a Troma produced release in one year! 2018 promises to be even bigger than 2017, and we can’t wait to share with you all the future projects. Please be sure to follow us on Twitter, Facebook, YouTube, and Instagram, to keep up to date on all our flicks! TEASER for upcoming Horror Comedy PASSING THE STONE released! Here’s the teaser for the latest short film from Safety Meeting Productions, PASSING THE STONE. What started as a drunken idea blossomed into the upcoming horror comedy. Written and Directed by co-founder/producer Richard Trejo, with co-founder/producer Alex Napiwocki as Director Photography. Richard Trejo as the party-goers. Please enjoy this quick taste of things to come, and look out for the flick next Friday, 12/23/2016. Happy Holidays! Passing the Stone TEASER – A Safety Meeting Production from Richard Trejo on Vimeo. We’re pleased to announce that we have cast the talented, dapper, and self-proclaimed peanut butter monster, Colton Wheeler in the role ‘Armand’. Together, Alex and Richard — founders of Safety Meeting Productions — have worked with Colton on the upcoming horror feature, SERENA WAITS, and it is an absolute pleasure to be working with him again. Colton has worked on such films as: UGLY SWEATER PARTY, and the aforementioned SERENA WAITS, but has also dabbled a bit in television, acting in roles for THE MINDY PROJECT, and CRIMINAL MINDS. On top of all the talent this guy is pumping out, he’s also a positive energy generator. Every set he’s a part of is brighter having this guy around and can’t wait to have him grace the screen in PASSING THE STONE. Be sure to follow Colton at all his respective social media outlets: Facebook, Twitter, and Instagram, for all updates on his upcoming projects! TODAY is the DAY! We shoot PASSING THE STONE, so be sure to check back on our Instagram for updates! Safety Meeting Productions has been hard at work to get their latest short flick out, as part of the 60 seconds to die project. Their upcoming film, PASSING THE STONE — which is set to shoot this Saturday, November 26th — has cast their lead, “Carl“, with none other then good friend, and amazing actor, Charles Chudabala! Charles is one busy guy. In fact, since he’s arrived on the independent horror scene he’s managed to obtain 33 actor credits and 9 Producer crews — which include, 2JENNIFER, DEATH HOUSE, UGLY SWEATER PARTY, and SERENA WAITS. In other words, wow. He is not only an outstanding actor, but he’s also an accomplished producer. Amongst his many attributes, his extreme positivity on set, and just overall phenomenal attitude, are a perfect fit into the Safety Meeting family. Passing The Stone will be the directorial debut of Producing partner Richard Trejo. You can follow Charles at all his respective social media outings: Facebook, Twitter, and Instagram, to keep up on all his amazing ventures and projects! Be sure check back here for updates on all our upcoming projects!